Dr. Dorota Wisner is a radiologist from San Francisco, California. She has been in practice for the past 13 years. Dr. Wisner graduated from the University of California Irvine in 2004. 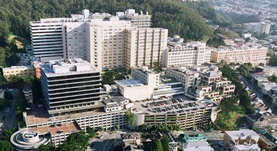 She completed an internship at the Scripps Mercy Hospital and a residency stage in radiology at UCSF. Dr. Wisner is a board-certified specialist in diagnostic radiology. She was involved in an extensive research activity and contributed to multiple publications. Some of the subjects she focused on are extra-mammary findings on breast MRI, high-resolution diffusion-weighted imaging, Breast MR imaging in patients with newly diagnosed breast cancer, triple-negative and non-triple-negative invasive breast cancer. 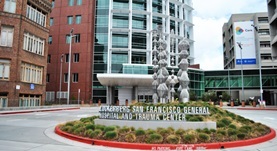 Dr. Dorota Wisner is affiliated with UCSF Medical Center and San Francisco General Hospital and Trauma Center. Dr. Dorota J. Wisner has contributed to 3 publications. Extra-mammary findings on breast MRI: a pictorial review. Karp, N. L.,Price, E. R.,Wisner, D. J.,Chang, C. B.,Hylton, N. M.,Joe, B. N.; Clin Imaging. 2015 Mar 17. Lesion morphology on breast MRI affects targeted ultrasound correlation rate. Hollowell, L.,Price, E.,Arasu, V.,Wisner, D.,Hylton, N.,Joe, B.; Eur Radiol. 2014 Dec 17. Features of Occult Invasion in Biopsy-Proven DCIS at Breast MRI. Wisner, D. J.,Hwang, E. S.,Chang, C. B.,Tso, H. H.,Joe, B. N.,Lessing, J. N.,Lu, Y.,Hylton, N. M.; Breast J. 2013 Oct 30.